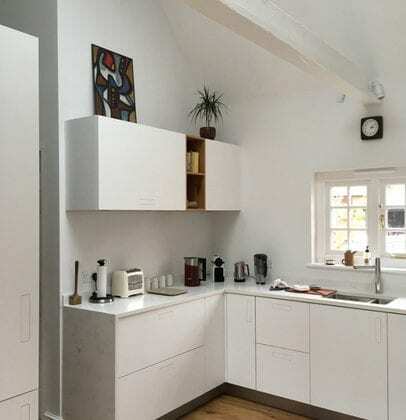 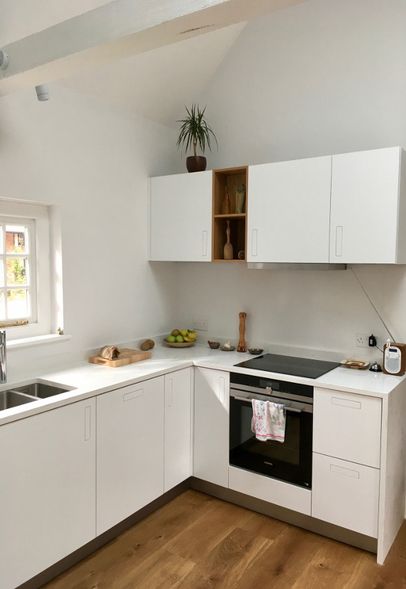 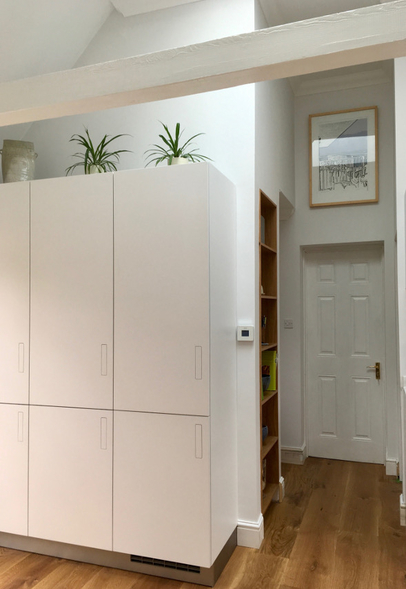 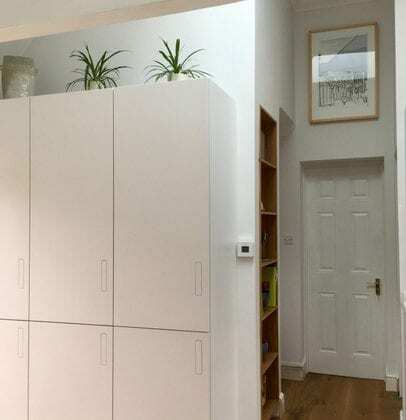 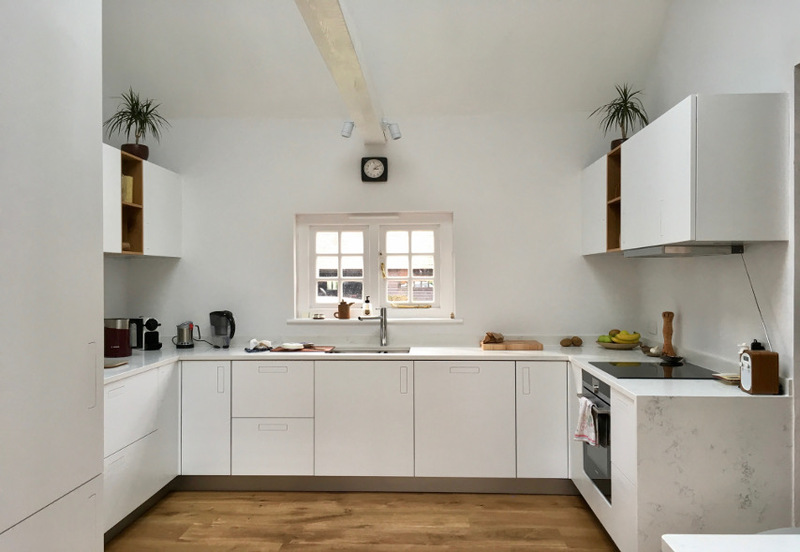 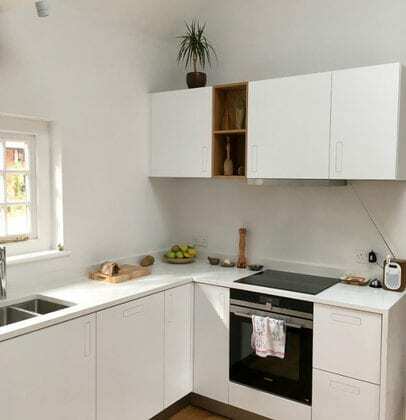 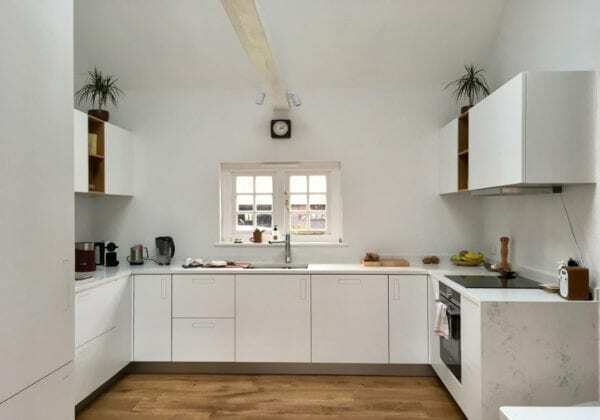 Here are some pictures of the modern, Schuller C Range crystal white kitchen we designed and installed for Stuart in Cambridge. 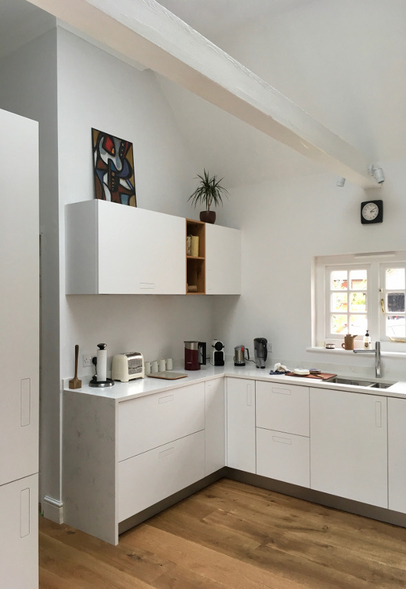 Thank you to our customer, Stuart for sharing his new kitchen photos with us, the kitchen looks superb! 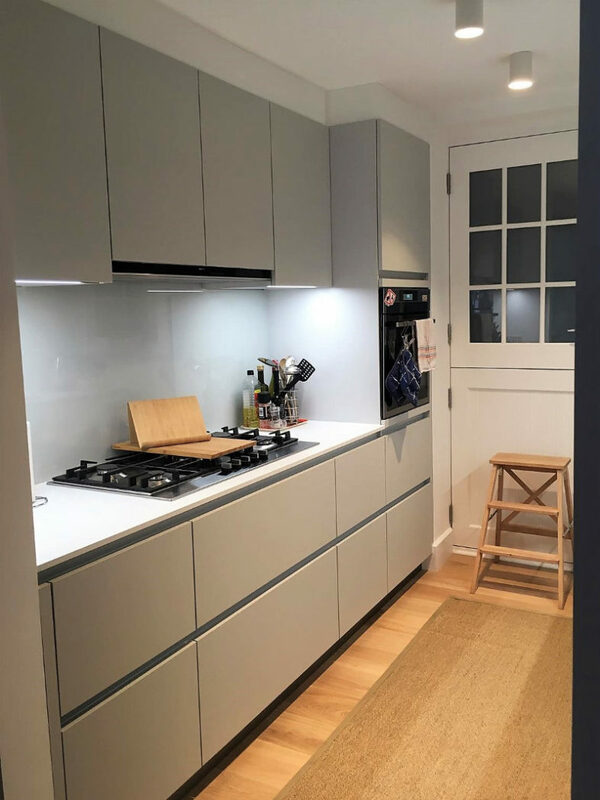 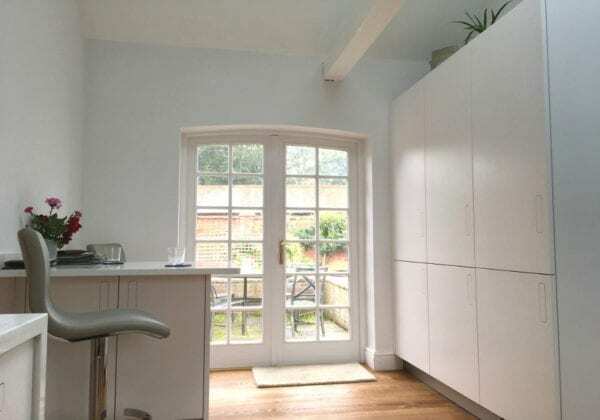 This kitchen has an elegant and timeless crystal white satin lacquer finish to its kitchen doors. 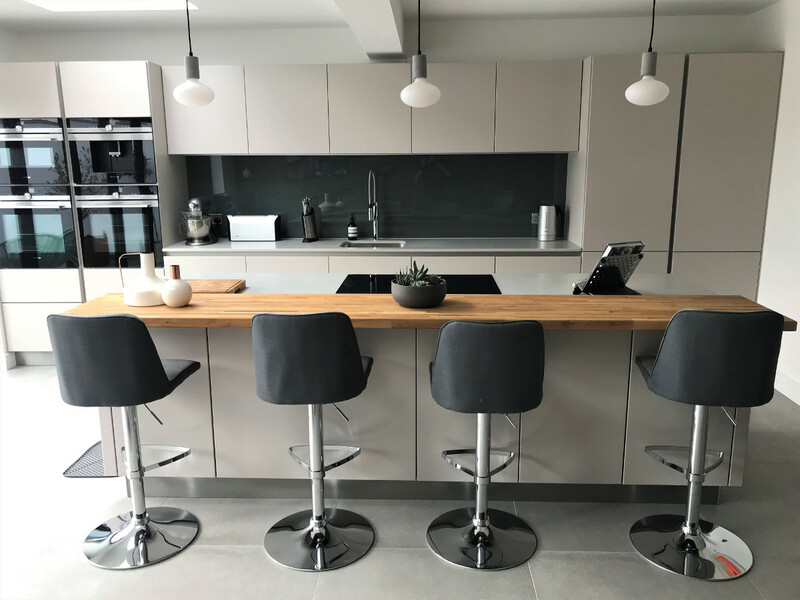 The kitchen door design features stylish and discreet ‘letterbox’ style door handles with contrasting open shelving in natural knotty oak.